World of Warcraft: Warlords of Draenor is out next week. 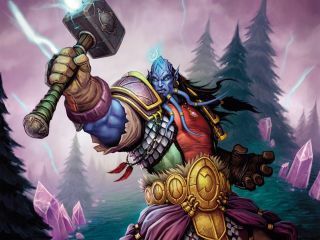 On the eve of WoW's fifth expansion, I chatted with Blizzard at BlizzCon about what MMOs should do to innovate and remain relevant in the next five years, what's new in Draenor, and what Blizzard's long-term plan is for World of Warcraft. Jump to 4:10 to hear Lead Game Designer Luis Barriga's response to "What do MMOs have to do to remain relevant and exciting to people in the next five years?"